The Pillsbury home is a 3-story property with 25 single rooms and 2 studios. All the tenants are single adults who lease their own rooms and share kitchen, lounge, and bathroom spaces. Some tenants stay for a few months while others live in the home for several years. The recent renovation included updates to the basement kitchen and common area to make it a more welcoming environment and create a community gathering area for tenants of the shared home. Alliance Housing was born out of the vision of St. Stephens emergency shelter staff and residents who wanted to create tangible, long term housing solutions for homeless families and individuals. 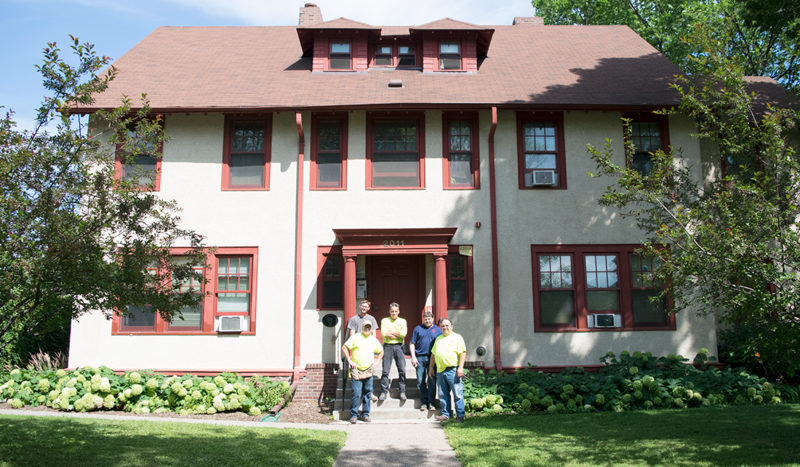 The organization was incorporated in 1991 and took advantage of vacant and available properties at low cost in South Minneapolis. Alliance continues to honor its history by developing housing solutions for homeless, poor and other individuals left out of market opportunities.